Sure, Bardstown and Bourbon are basically synonyms, and everyone knows it’s a beautiful little town, but did you know that Bardstown, Kentucky, also has an awesome art scene? From community theatres to art fairs and festivals, Bardstown’s creative vibe is at the very heart and soul of this small town. Rather famously, Bardstown is home to one of the nation’s most beloved performing arts organizations, The Stephen Foster Drama Association, which has been producing Kentucky’s official outdoor musical The Stephen Foster Story for nearly 60 years at My Old Kentucky Home State Park. And while the story of America’s first great composer is what they’re best known for producing, they’ll be delighting audiences with the hit Broadway musical Mary Poppins in summer 2018. Music fans will be excited to learn that Bardstown also hosts Summer Band Concerts in Bardstown Community Park each year. These free, outdoor shows are held at 7 p.m. every Friday (rain or shine! ), from late May through August, and feature an impressively wide variety of musical styles—from bluegrass to jazz, to classic rock, country, and Sousa. Making a splash in the visual art scene, the Fine Arts Bardstown Society (FABS) has been fostering creativity in Bardstown since their founding in 2005 by encouraging local artists to be more present in the community through an ongoing series of exhibitions and events. The organization also runs an active venue space on the square, where local artists can display their work, gather to learn, develop ideas, and share their worldviews. Gallery on the Square is open 7 days a week and typically features fine art and crafts by more than 30 local artists at any given time. Adding to the town’s historical artsy charm is the Bardstown Art Gallery, believed to be the oldest private art gallery in Kentucky Operating in conjunction with Thomas Merton Books, the gallery features oils, watercolors, and drawings by Jim Cantrell and a selection of other works by regional artists. 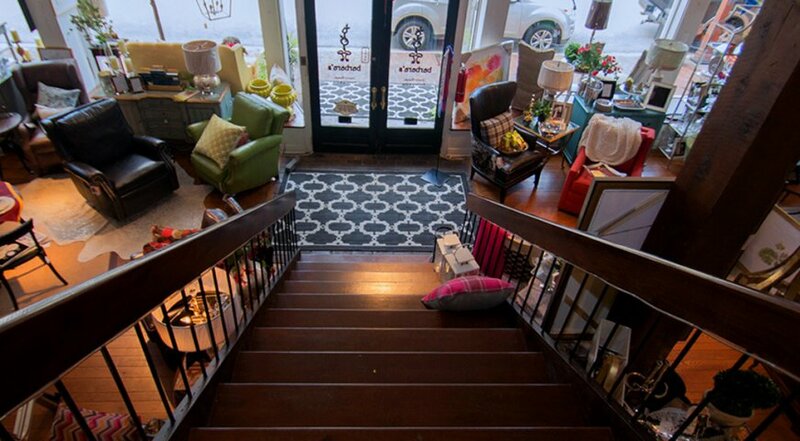 Another hidden gem in the Bardstown art scene is Mercantile on 3rd, which features handcrafted Kentucky Proud furniture, hand-woven rugs and cowhides, jewelry, leather works, and a variety of Southwest-inspired fashions. This one-stop gift shop is known for its eclectic gifts and for supporting other local artisans. Stop in and sip coffee while you browse endless options. Admittedly, The Bourbon Capital of the World® will always be known for its inherent connection to the Bourbon industry. But if it has enough heart and soul to give the gift of Bill Murray karaoke to the rest of the world, it’s got to be worth checking out!